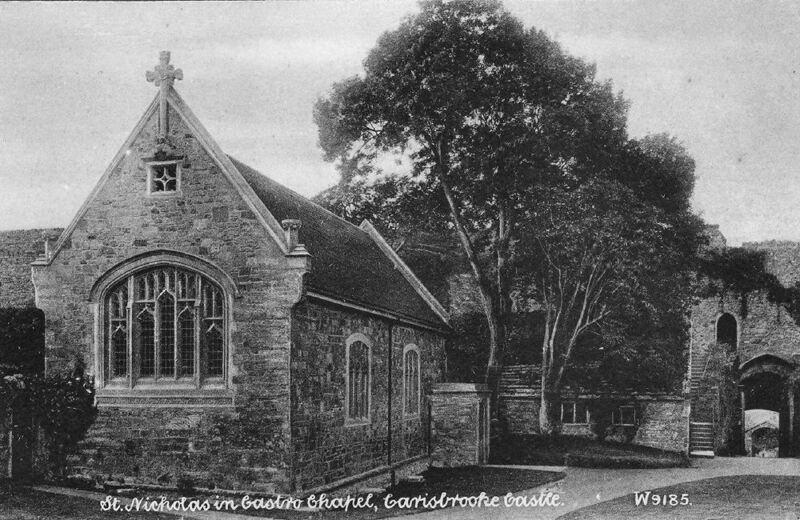 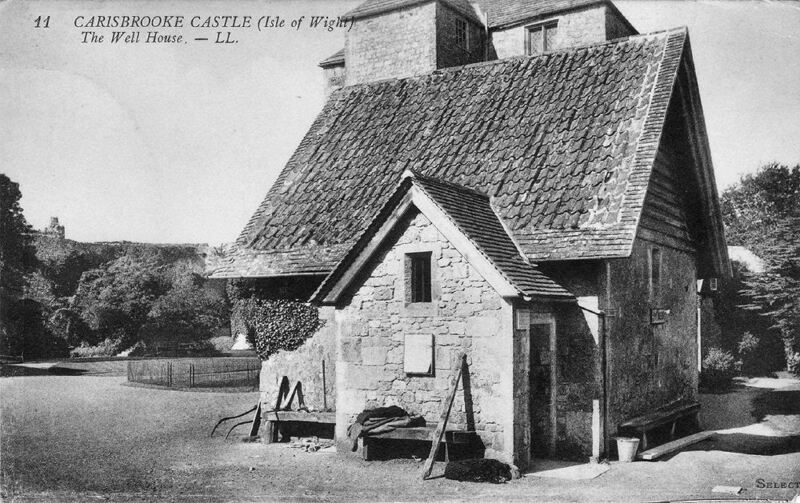 The Well House (closed between about 12.30 and 1) is a restored sixteenth-century building regarded by many people, especially juveniles, as the most interesting feature of the Castle. 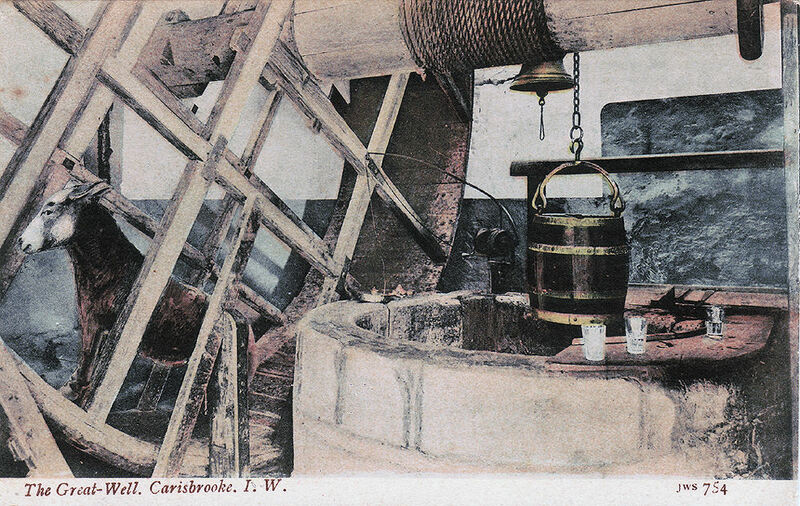 The well was sunk in 1150 and has a depth of 161 feet and a diameter of 5 feet 3 inches. 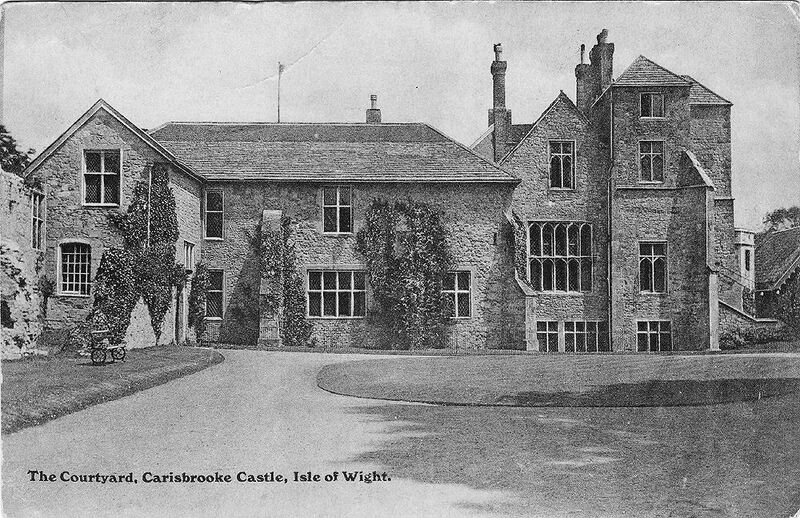 The masonry goes down 16 feet. The depth of water varies from 15 feet to 70 feet. 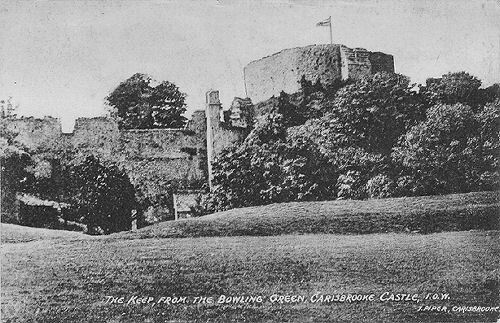 The average depth is 40 feet. 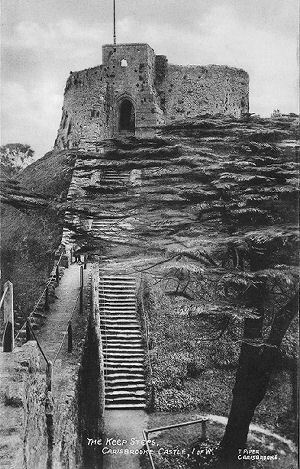 The lowest recorded is 12 feet in 1902. 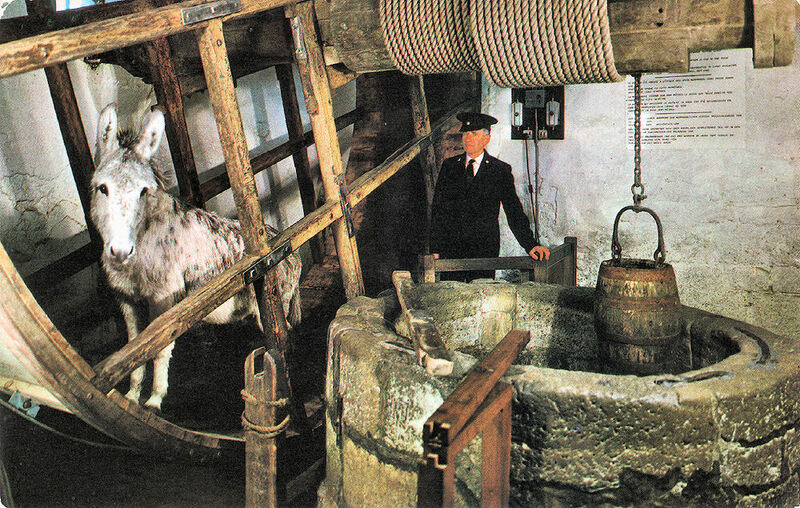 The fluid is drawn up by means of an ingeniously 0contrived draw-wheel (15 feet 6 inches in diameter), to which two intelligent donkeys take turns to supply the motive power. The wheel was made in 1588. 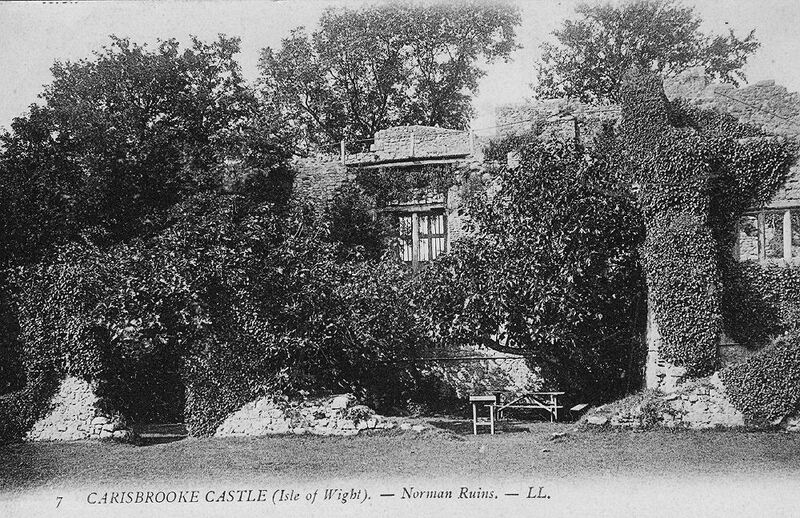 Its frame is oak; its shaft, chestnut. It is interesting to know that each time the bucket rises to the surface the patient victim of the tread-wheel has accomplished the equivalent of 300 yards. We are assured that the life suits the animals, and one is recorded to have died at the ripe old age of 50. 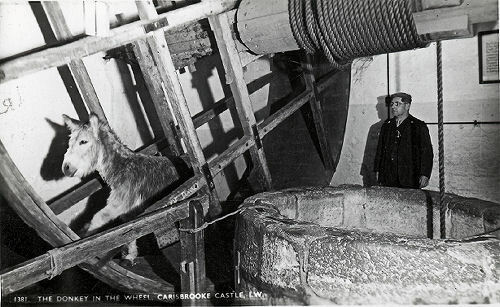 An electric light near the bottom of the well is switched on to give an idea of the depth. 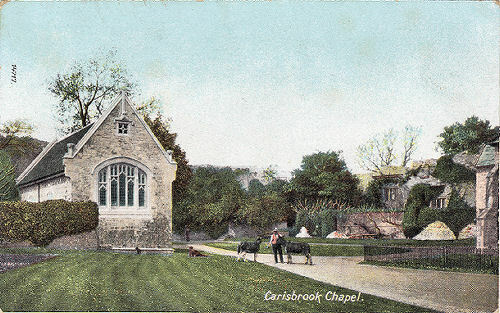 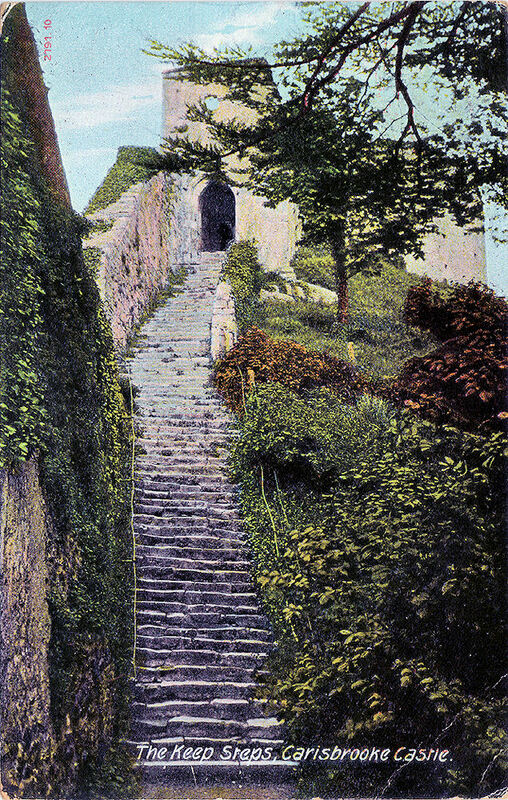 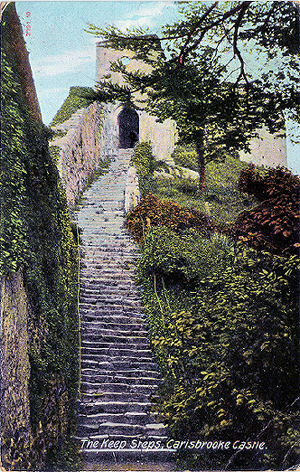 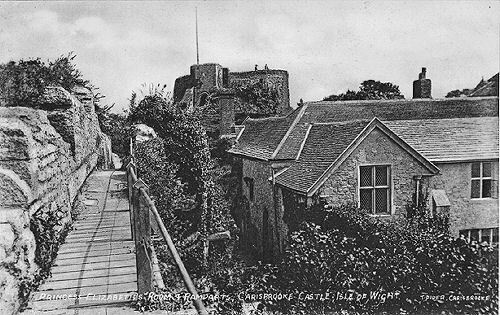 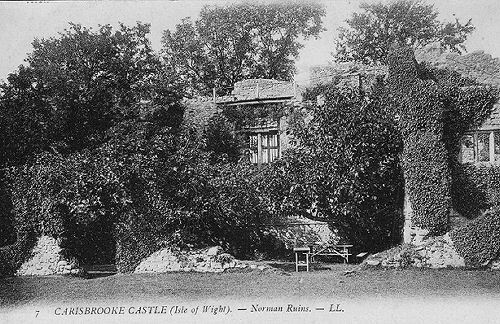 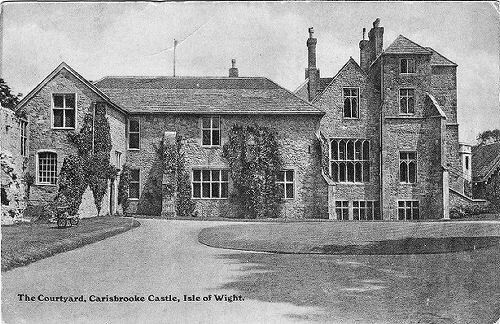 The steps to the Keep, Carisbrooke Castle 1906.